Patented hybrid ink and unique rubber comfort grip combine for maximum writing enjoyment! 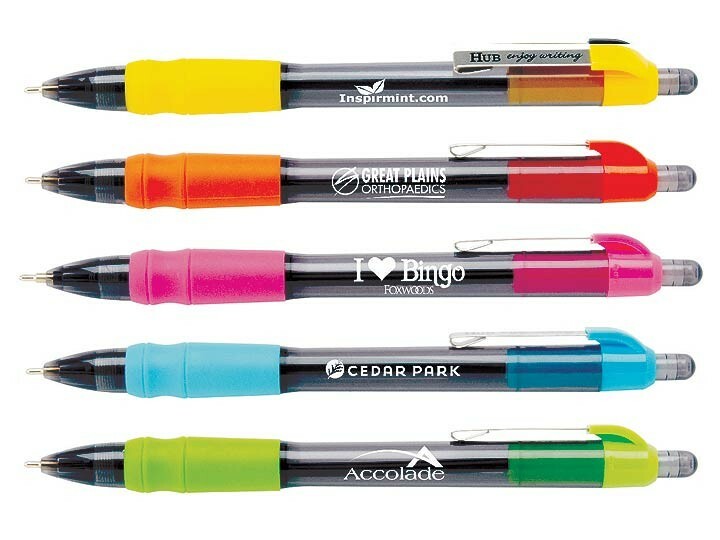 Translucent black barrels with vibrant tropical colored trim and "Enjoy writing" branded metal clip. Your choice of blue or black MaxGlide hybrid ink. (Blue ink default.) Patent number D709,950.